A new study from Harvard University indicates that while wind energy provides long-term advantages over natural gas and coal, the renewable is not as clean as previously thought. 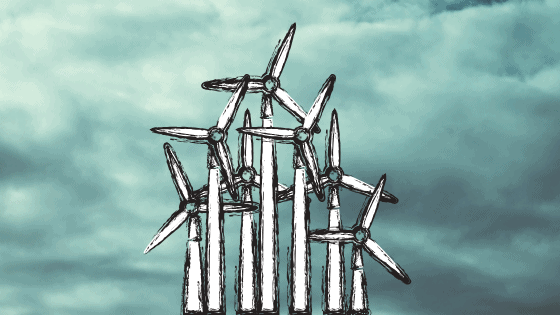 Findings show that large-scale wind deployments require more land than accounted for by initial studies. Early findings also failed to identify turbine-caused temperature increases. So while wind has already outpaced solar as America’s go-to renewable, solar’s environmental impact is ten times less than that of its blustery counterpart. Did Christmas come early for the coal industry? Robert Murray, CEO of Murray Energy Corporation, the largest underground coal mining company in the US based in St. Clairsville (OH) has been one of the most outspoken people in the “war on coal”. Although pleased with the outcome of the election, his excitement is tempered by an underlying reality of how quickly things have changed in the power generation sector. Mr. Murray would probably like Santa to deliver everyone a lump of coal in their stockings (as a good thing) this year, but is also keenly aware that natural gas and renewables (wind/solar) are taking a larger and larger piece of the generation pie. In fact, in 2007 coal represented 48.5% of the main fuel source for generation, today (through June 2016) it is sitting just under 30%. Interesting that he doesn’t see the jobs coming back but is also concerned as more LNG and exports are on the horizon, that in turn will drive up natural gas pricing and coal will still be in demand as the main baseload, low cost fuel source for some time to come.